There are plenty of ways one can arrange a wedding ceremony. Good thing that today we can resort to the help of specialized agencies and just competent people who will simplify our preparation process. Although, they can also help you draft some ideas for your big day, it is always good to have your own sketches beforehand. What you you have a chance to explore below ill definitely give some more inspiration. 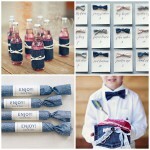 Have you ever thought of throwing a denim wedding? If not, then see the following images and learn everything you need to organize such an event. First of all, you need to come up with the right dress. While you don’t necessarily have to go for a gown that is designed in denim, you can still choose an outfit that would feature some elements of this material. 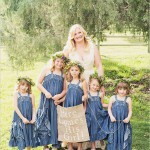 As an example shows, it can be a regular white wedding gown with a layered skirt and a veil; the only difference is that its bodice is designed in denim and features lace-up fit. 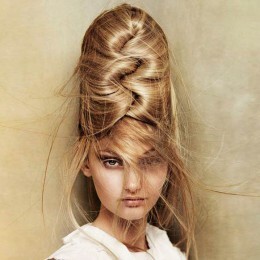 However, you can opt for any other piece, as long as it fits into the overall image. Once you have your own dress, it is the time to think of your surrounding. 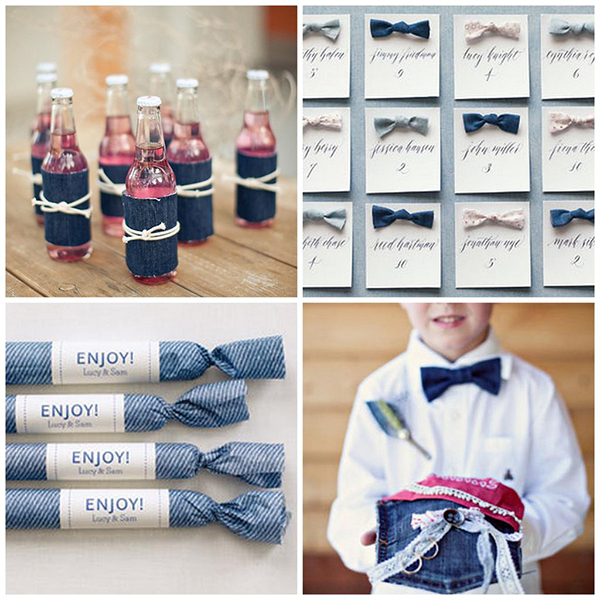 Your beloved one can also have some elements of denim in his look. A pair of jeans or a bow tie will work just in an excellent way. 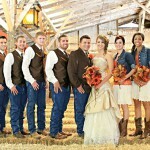 Meantime, the bridesmaids can easily rock regular cocktail or evening dresses, but with denim jackets over. There are many other ways your guests can dress up in order to match the style of your wedding; you just have to make sure that you inform the people ahead of the event. 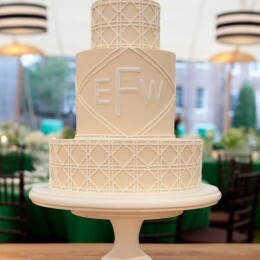 A wedding cake is also a very important part of the event. This is something that will attract a lot of attention from the side of your guests, so it does make sense to make it as fascinating and delicious as possible. 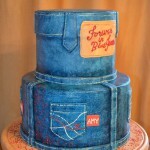 A blue-jeans cake is a dessert that is not featured at every single wedding – so it will be quite cool if you opt for it. First of all, it perfectly fits into your ceremony’s concept. Moreover, such a cake looks quite unique and engaging which automatically makes it one of the brightest hues of your wedding. You also need to think of ways to serve the tables. One thing you have to do is to always keep your guests in the ceremony’s mood. You ought to remind people attending your event of the theme that you have chosen. For that, all details and little things may become important and handy. 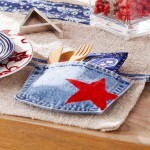 For instance, you can opt for table cloths designed in denim or utensils that would remind one of jeans. Or else, why not to go for blue styled cups and plates and denim napkins? 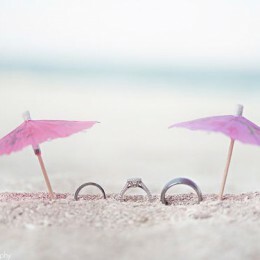 Whatever you go for, just keep in mind that it has to match the overall image of your big day. You can also add other tiny things to keep your day in line with your denim inspiration. Children wearing denim outfits or candies wrapped in the jeans-designed paper will by all means make this day more solid and memorable. Even if it requires a lot of time and effort, in the end you will get your appraisal. Just imagine how great it will be to go through your wonderful wedding pictures in a couple of years and enjoy the perfect event.